Check-in is between 3-6:00 p.m., checkout is 11:00 a.m.
Special arrangements must be made for late check-in. Reservations guaranteed by advance payment of one night’s rate. We accept Visa, Mastercard, AmEx, checks and and cash for payment. The Pryor House is open year-round. 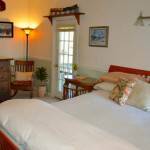 We are a small B&B that is greatly affected by cancellations. As a courtesy, we ask that should you need to cancel, give at least a 7-day notice. Any deposit made in advance, will be returned, unless cancellation is made within 7 days of arrival. not be returned, if the room can not be rented out again that night. Rates shown, are for 1-2 guests. 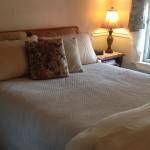 With prior arrangements, we may be able to accommodate an additional guest for $15/night on an air mattress in a room. 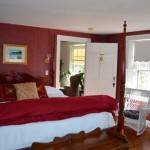 **There is an additional 9% Maine State Lodging Tax added to the room rates. Get off at Exit 31 (Route 196 East – Topsham, Bath). Follow Rte. 196 to Rte. 1 North (take ramp for Bath – left lane). Follow Rte 1 into Bath (~10 miles). Stay in right lane and follow sign that says “Historic Bath”. Turn left at the first traffic light (Washington Street) – go straight through the next light, then take 4th right onto Oak Street. Turn left onto next street (Front Street) and follow to 360 (look for sign and house on left).